Au Guat Chin, 55-year-old, comes from Kuala Lumpur, Malaysia. She was diagnosed with stage III breast cancer in January 2017. After interventional therapy in St. Stamford Modern Cancer Hospital Guangzhou, her right breast tumors completely disappeared and her condition is improving and stable. 2016 was a tough year for Au Guat Chin. In October, she happened to touch a movable little mass under her right breast. She appointed with her husband to have a check in hospital when misfortune happened before the day they planned to go, her beloved husband suddenly passed away due to heart attack. His death broke her heart and she then experienced a long-time depression and sadness. ​Lasting frustration and sadness led to the deterioration of her cancer, her tumor has enlarged into 2.4 cm. Realizing for his sons’ sake, she decided to be optimistic and resilient. In January 2017, Au then was working in Singapore alone, so she went to the local hospital and biopsy result indicated that her breast cancer has developed into stage III. Due to the expensive treatments, she quit her job and went back to Malaysia to look for better treatments. The family in Malaysia happened to learned about St. Stamford Modern Cancer Hospital Guangzhou and its minimally invasive therapy on cancer from the symposium held in Kuala Lumpur Office of St. Stamford Modern Cancer Hospital Guangzhou. Giving them hope, they recommended it to Au. 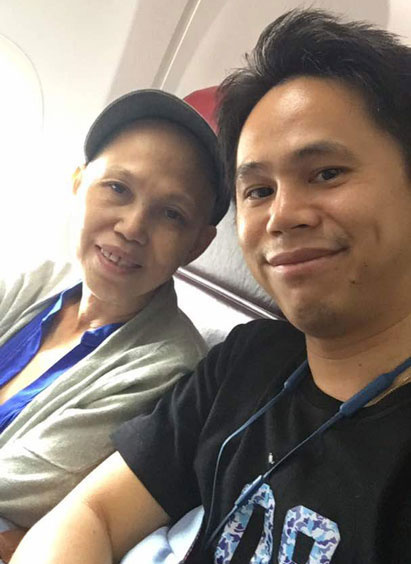 In March 2017, accompanied by her son, she came to Guangzhou treating her breast cancer. 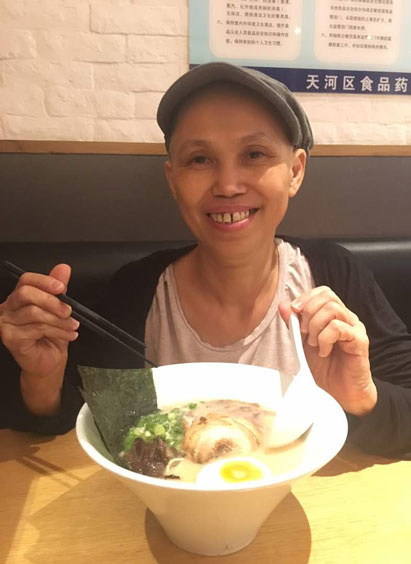 When Au was admitted into St. Stamford Modern Cancer Hospital Guangzhou, she had a comprehensive physical examination and found out that her right breast cancer has reached lymphatic metastasis. Then her tumor has enlarged to 3.1 cm. After deliberation, the Multidisciplinary Team (MDT) of St. Stamford Modern Cancer Hospital Guangzhou tailored an individualized treatment plan for her with a course of 8 sessions of interventional therapy. ​“After the first session of interventional therapy, my right breast tumor shrank, after the third session of interventional therapy, I could not feel it anymore, it’s already gone. CT scan showed there was only fingernail-like dead tumors. I underwent breast-conserving surgery to save my breast. Doctors here suggested another two sessions of interventional therapy to kill tumors that has spread to lymph glands in case of cancer recurrence.” Au said happily. Malaysia Kuala Lumpur Office of St. Stamford Modern Cancer Hospital Guangzhou helped apply 2000 yuan Boai Group fund for Au which will be used for Au hospital treatment fee to help reduce her financial burden. At her age of 55, it is more appropriate for her the minimum side effect, thus, the multidisciplinary team (MDT) arranged interventional therapy for Au. Interventional therapy, is a minimally invasive therapy that performed with a special tube or catheter and other sophisticated instruments. The anti-cancer drugs are injected into the tumors site, directly and accurately poured into the tumors and kill them effectively. We hope all the cancer patients in the world can be as brave as Au, to face cancer positively and fight against cancer together with medical staff and defeat cancer.